Amazon Work From Home Jobs! Learn how you can join their virtual team today! You Can Work From Home For Amazon. Here’s How. Amazon work from home jobs are real! That’s right. The mega online retailer is also one of the many remote-friendly companies out there. In fact, they have an entire division devoted to virtual workers. If you’ve been on the hunt for a real work from home job, especially in customer service, read on. 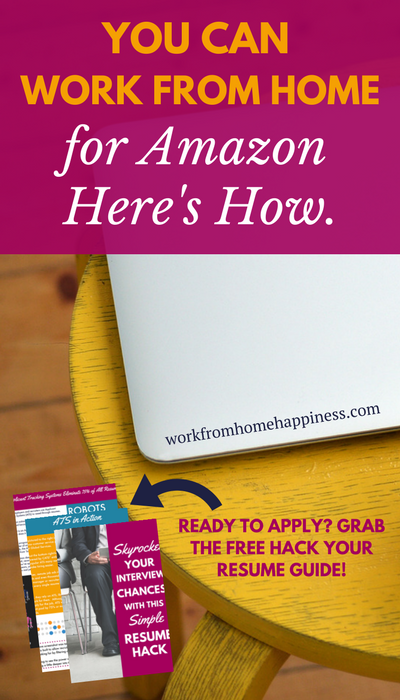 I’m going into all the details of what it’s like to work from home at Amazon and how you can become an Amazon At-Home Agent too! Before we dive into what it’s like to be a part of the Amazon work from home team, let’s talk about the company first. Amazon is one of the largest e-commerce retailers in the world. E-commerce is just a fancy way of saying buying and selling online. As of 2017, Amazon is the top online retailer in the U.S. with $94.7 billion in online sales (that accounts for a whopping 70% of the company’s revenue!). To put that number into perspective, Apple (another work-from-home company) came in second place with $16.8 billion followed by Walmart in third at $14.4 billion! Amazon has physical workspaces and hubs throughout the United States. These warehouses are often called ‘fulfillment centers’ and are where orders are picked, packed, and shipped by employees to their final destination at your doorstep in as little as one day! But these aren’t the only opportunities to get your foot in the door at Amazon. Thanks to their Virtual Locations program, many workers across the U.S. can become an Amazon employee without ever stepping foot in a warehouse. These jobs are most often part of the Amazon work from home customer service program. However, there are other virtual jobs to be found too! The best way to keep on top of all work from home opportunities at Amazon is to bookmark and visit their Amazon Work From Home jobs page. For the purpose of this company profile, I’ll be focusing on the Amazon work from home customer service jobs. Why? Hands down, these are the most readily available remote-friendly jobs at Amazon. And these positions are open to the majority of U.S. residents, giving more people the opportunity to kick their cubicles to the curb! Amazon hires virtual reps year round but seriously ramps up their hiring just before the busy holiday season. Keep in mind, sometimes this means seasonal opportunities only. But there are also chances to snag Amazon work from home part-time and full-time gigs. It really depends on their need and current demands for virtual reps. Your day-to-day responsibilities will involve taking inbound calls from Amazon customers. You may also respond to support emails or incoming live chats. Most interactions with customers will deal with orders — either questions about an existing order or difficulties when trying to place an order. But you may also help solve problems or provide support. Keep in mind, most customers contact Amazon by live chat or phone — so you’ll have to be quick when offering solutions to customers! Now, if you’re looking for other virtual jobs at Amazon, be sure to read the job description from the Virtual Locations Hiring Page. Those jobs may or may not be location-specific. However, when it comes to their work from home customer service jobs, you will need to live in one of the states listed! What Experience Do I Need to Work From Home For Amazon? That’s it! This is a really great opportunity to use your real world experience in retail, hospitality or other service-based industry to snag a work-from-home job. What About Technical Requirements? What Will I Need? No wifi — must be hardwired to the internet via Ethernet cable — sorry no satellite! You’ll also need to be able to take phone calls. But don’t worry, you won’t need a landline! Once you’re hired, Amazon will ship you a headset for taking calls via Internet. You’ll also receive a Gemalto token, which will turn your PC into a super-secure powerhouse for both your protection and the customers you interact with! So Far So Good. What Will My Schedule Be Like? Your schedule will largely depend on demand. Sometimes, Amazon specifically hires work from home customer service agents just to handle calls during high-volume times. Remember, Amazon’s peak times run from Thanksgiving to mid-January. During those months you may be working full time or even overtime to meet the increase in online shoppers. During off-peak times, Amazon’s virtual support center is open from 3 a.m. to midnight PST. Your shift could fall anytime during these hours. And you’ll be expected to have a pretty flexible schedule to accommodate these hours. You may be assigned any combo of day, afternoon, or evening shifts. Most reps will work at least one weekend day with many working both Saturday and Sunday. You’ll also have to attend and complete paid training which may have a completely different schedule. Fortunately, your recruiter will go over all that information with you so you won’t be caught off guard when it comes time to train. What About Amazon Work From Home Salary? How Much Will I Make? For customer service reps, the Amazon work from home salary is the same: $10.00/hour (unless you reside in a state where the minimum wage is higher). 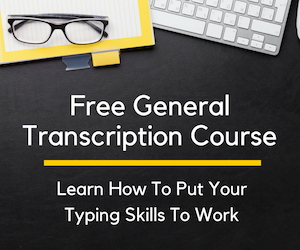 This includes paid training while you’re learning the ropes! Virtual reps also have bonus opportunities that can boost their $10 hourly rate. Remember, Amazon has additional virtual work from home jobs available which will likely pay higher, but for customer service reps there is an across-the-nation pay rate of $10/hour. I Want To Be A Part Of the Amazon Work From Home Team! That’s the spirit! To learn more about Amazon work from home jobs, head on over to their Virtual Locations Career Page. And, before you apply, be sure to check out their culture and benefits page to see if you’ll be a good fit. As always, I recommend you spruce up your resume before applying. Fortunately for you, I’ve put together a free ‘hack your resume’ guide for remote workers. Grab your copy by signing up below. Good luck! Ready to apply to a work from home job? Use this guide to hack your resume, and increase your chances of getting an interview! Hooray! Thanks for subscribing. 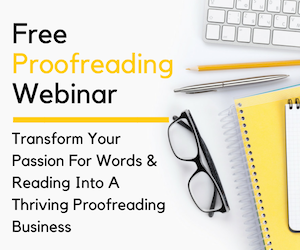 Check your email to confirm your subscription and get your free guide. Work from home jobs have so much advantages and Amazon really gives a lot of opportunities for working from home. Their affiliates programs are also great option. Nice of you Ashlee to share job opportunities with readers! Thank you, Ashlee, for sharing your insights. 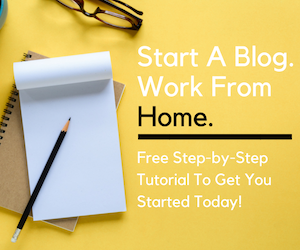 Love your blog and your approach to working from home. I am a real estate agent that is looking for a side income, so I have a steady stream of income between my commission checks. Again Thank you for your inspiration. i`m currently looking for some sought of work that i can do from home.. i`m 62 and really have had enough of dealing with the public. is there a position where i could use email or chat as a response.. ?/ thank you? Another great way to earn an income from home using Amazon is to do what I did. In 2012 I spent a month writing product reviews for popular items on Amazon. I posted these reviews on several popular websites (that allowed guest posts) and made sure that the links I used to the products on Amazon used my special tracking code. Every month since then I have earned an online income. It’s now 2018 and it never fails. I really can’t believe that it still earns. Maybe that’s something that you and your readers can consider. How would one go about writing product reviews for popular items on Amazon? How do you get this type of job? TIA! So, will there be training on the jobs before starting. Are schedule consistent? I work 20 12 hrs shifts, want something to do in between times. You’re welcome, Anita. I wish you the best of luck! I’m ready to start. I live alone on disability. I am 65, retired but would like to earn a little extra to supplement my S.S. I spend a lot of time at my computer and would like to make it profitable time. As this is mostly P/T it would be ideal for me.